The first of my Counting Cars series appeared in the XPACE Images Festival at the end of March 2012. The exhibition’s theme was curated by Vikki Dziuma and looked at society’s relationship with technology, communication, time-based or new media. The artwork, Two and a half hours of parking lot patterns is composed of five layers of notation. Each layer represents half an hour of the total traffic coming into and out of a surface parking lot, located just outside my studio. This parking lot is due to close to make way for a 44-story condominium complex, so I decided to visualize its final days of operation. The strict grid layout of the car park means that there is only a limited number of potential maneuvers – turn left, reverse to the right, go forward, reverse, move forward etc – and these automobile patterns seem to lend a textual quality to the piece. Two and a half hours of parking lot patterns (Close-up). 36″ x 24″ x 2.5″. Medium-density fiberboard, painted with white enamel. Counting Cars at Richmond and Victoria Sts Parking Lot. 12″ x 24″ x 2.5″. 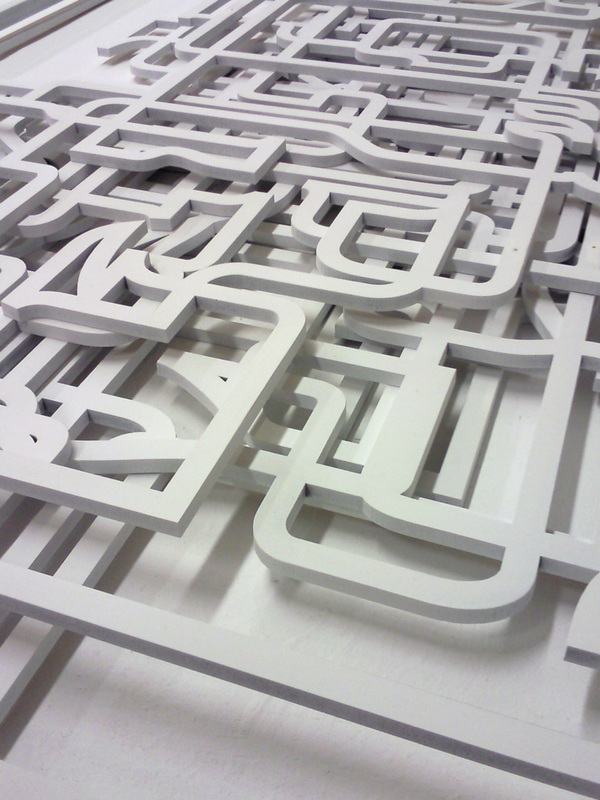 Medium-density fiberboard, painted with white enamel.